John McDermott, one of the authors of this blog, observes “I have diabetes, high blood pressure and I am a senior. Often when I have to go, the urge comes on suddenly and I can’t find a restroom nearby. The result is that I soil my pants, which is very embarrassing. Even more embarrassing is going home on the bus aware that others are looking strangely at me because I smell”. The United Nations recognizes access to clean and safe water and sanitation as a human right, “essential to the enjoyment of all other human rights.” Many European and Asian capitals – recognizing the importance of access to clean, safe public restrooms– have taken steps to make sure that public restrooms are available in areas with high levels of pedestrian traffic. Not so in Washington DC—the seat of our Federal government, visited by over 22 million tourists per year. Off the Mall, DC has 5 public restrooms available during the day and only two available 24/7— there are no signs to tell you where they are. Businesses increasingly limiting restroom access to customers further exacerbates the challenges of finding a restroom. During the first half of the 20th century, the District and other cities in the U.S. had public restrooms in downtown areas with high levels of pedestrian traffic. By the 1950s DC, like other cities, began closing or tearing down these public restrooms due to complaints that they were areas for illicit activity and/or poorly maintained. 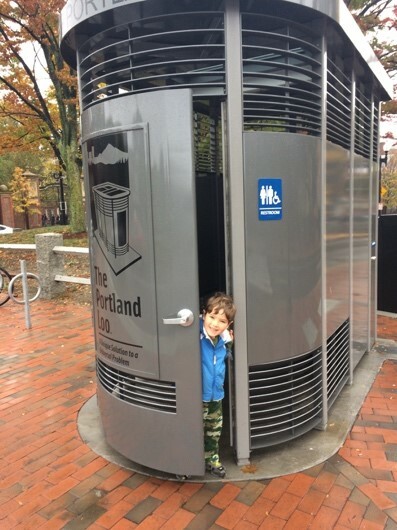 The Portland Loo: In 2003, community members, businesses, and an architect in Portland, Oregon designed the Portland Loo, a stand-alone prefabricated single stall public restroom the size of a parking place that is connected to water and sewer. The Loo is designed to maximize safety both inside and out, discourage inappropriate use, and be economical and easy to clean and maintain. Louvers make it possible to hear and see what is happening within, and it must be located in an area that is open near pedestrian and vehicular traffic. Support and monitoring from the surrounding community—such as businesses, Advisory Neighborhood Commissions (ANCs), and neighborhood associations—is also central to its success. The Portland Loo is the stand-alone public restroom of choice in over 20 cities in the United States and Canada. 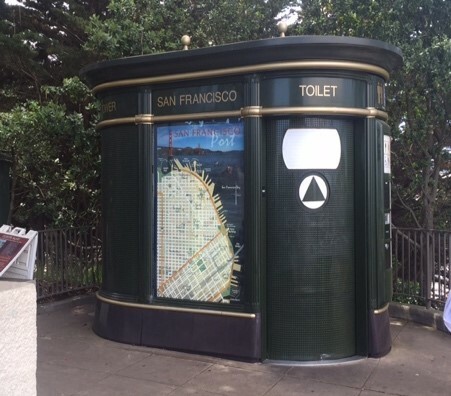 Automated Public Toilets: Automated public toilets (APTs) are also prefabricated structures the size of a parking place that are connected to water and sewer. After the user enters, the door automatically closes for up to 20 minutes. APTs are manufactured by several companies, and can be found in Europe and Asia as well as in San Francisco and New York City. APTs vary in their level of automation. Depending on the model, the toilet or the toilet plus the walls and floor are washed between uses or at a programmed time after several uses. In the most highly automated models, everything is automated—including the toilet paper dispenser, toilet flush, water and soap dispensers, and the hand drier. Most APTs are attractive, clean, and safe, but in some areas there are issues with cleanliness (for example, items dropped onto the floor cannot be removed by the automated washes) and safety (since the structure is entirely closed, one cannot see or hear what is happening inside while it is being used). They also tend to be relatively expensive to purchase and maintain. Community Toilet Scheme: In 2005, the Borough of Richmond Upon Thames near London developed the Community Toilet Scheme (CTS) after deciding that residents and tourists visiting its commercial areas needed additional access to clean, safe restrooms. The Scheme incentivizes private businesses to open their restrooms to the public during the hours they are open. 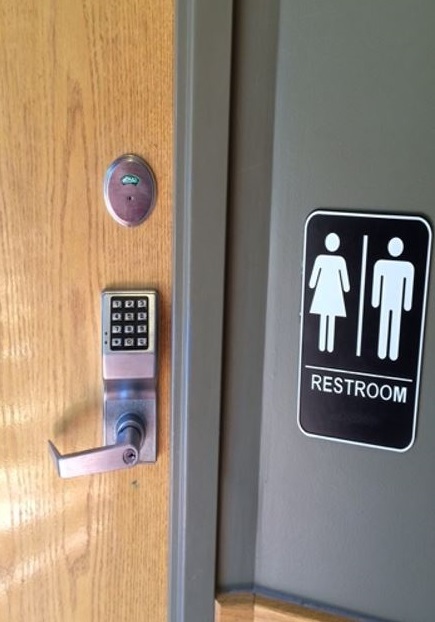 Participating businesses put decals on their door or window indicating that they are part of the program; only in “exceptional” circumstances can they deny restroom access. 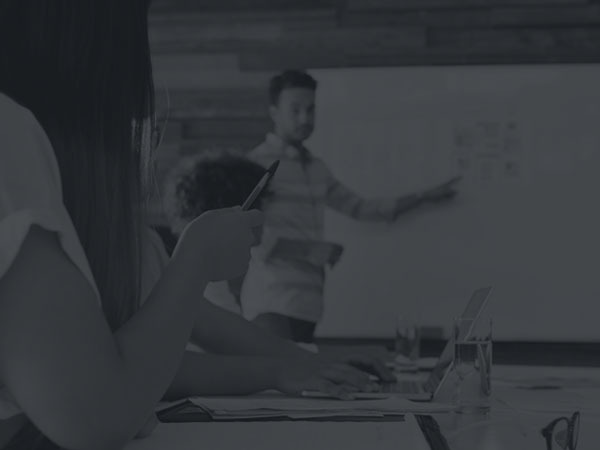 In addition to monetary compensation, benefits for participating businesses include the potential to generate revenue when people use their restroom and then decide to purchase something and demonstrating to the community that the establishment is socially conscious. The Scheme is now operating in several boroughs and localities in London, as well as in small towns in many areas of Great Britain. Many boroughs have businesses participating in the Scheme, as well as stand-alone public toilets, and libraries and other facilities with restrooms open to the public. The locations of all restrooms, including those participating in the Scheme, are on an interactive map available on each locality’s website. Germany’s Nette Toilette (Nice Toilet) is similar to the CTS, except that it is managed by a company. The Nette Toilette is in over 200 German cities and growing. In April of 2017, Councilmembers Brianne Nadeau, David Grosso, Elissa Silverman, and Robert White introduced Bill 22-0223, the Public Restrooms Facilities Installation & Promotion Act of 2017. 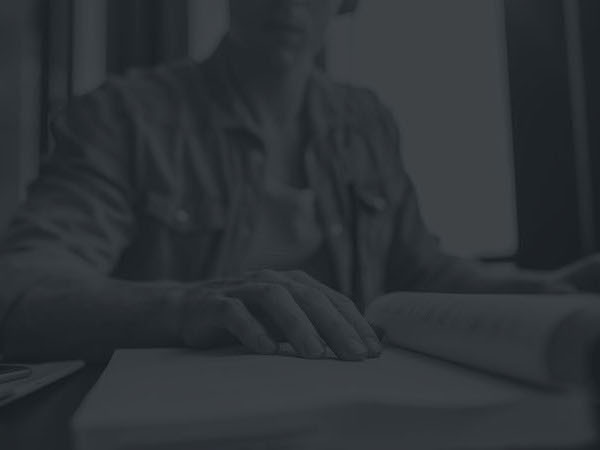 The Bill incorporates best practices from cities in the US and England. Its two-pronged approach—incentivizing businesses to open their restrooms to the public and installing stand-alone public restrooms—will ensure that DC residents and visitors always have access to a clean, safe restroom when they need one. The bill has the support of 13 Advisory Neighborhood Commissions (ANC’s) and a number of social advocacy, church, and other organizations. Bill 22-0223 is currently undergoing markup and is expected, once voted out of Committee, to go to the Council floor for two consecutive votes. It will hopefully be passed this Fall. DC has the opportunity to join other world class cities in recognizing that access to clean, safe public restrooms is a human right, critical to human dignity, and fundamental for personal and public health. John, George, Janet, and Marcia launched PFFC’s Downtown DC Public Restroom Initiative with the goal of persuading the DC government to install and maintain clean, safe public restrooms open to everyone in needed areas of downtown DC. They are honored that their research inspired Bill 22-0223 and its contents. 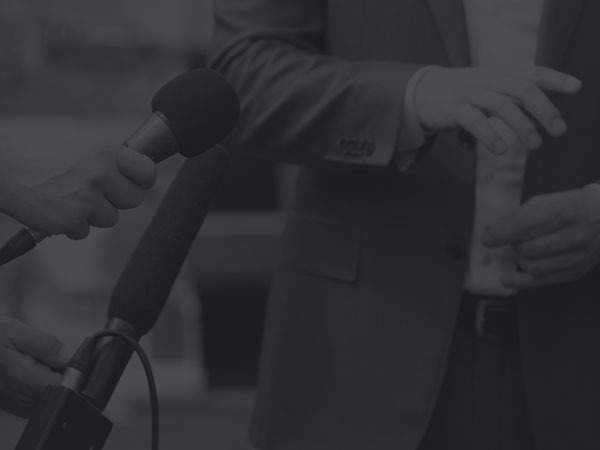 The Initiative and Bill 22-0223 has been endorsed by 34 organizations (and growing), and has been featured in the Washington Post, the Kojo Nnamdi Show, Greater Greater Washington, the DC Currents, and ABC7 local news. Follow them on Twitter at @DCrestrooms. Jurisdictions with the Loo include Portland, Oregon; Seattle, Washington; Greeley, Colorado; Salt Lake City, Utah; and Cambridge, Massachusetts; and Victoria, British Colombia. While they cannot formally endorse legislation, three Business Improvement Districts (BIDs) – the Downtown DC BID, the Georgetown BID, and the Capital Hill BID — support “public restroom access for all members of the Downtown DC community to support a higher quality life for our residents, workers and guests”.